Below is a link to a post I wrote a few years back about the lovely New Orleans tradition of creating altars on March 19th, St. Joseph, his feast day. This happens in New Orleans because of the large number of Sicilian immigrants that came to New Orleans starting in the 19th century; it was the second largest influx of Sicilian immigration in the 19th century behind New York City. In Sicily, thanks are given to San Giuseppe for preventing a famine in Sicily during the Middle Ages. Food is obviously central to life here, but the idea of these altars has always seemed so special to me as it uses food to create homemade art and to feed people as the altars are broken down afterward and given out. Many of the altar societies also offer a meal on the day as well. 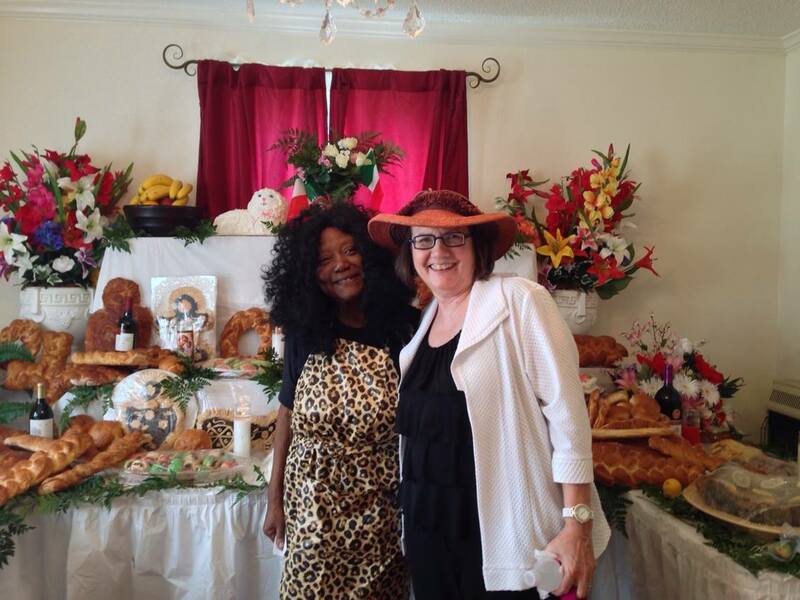 I thought I would share some pictures uploaded by our recently retired newspaper food editor Judy Walker (seen in one picture in the hat with altar host, Subil Prosper) of her visits to St. Joseph’s Day altars around town. 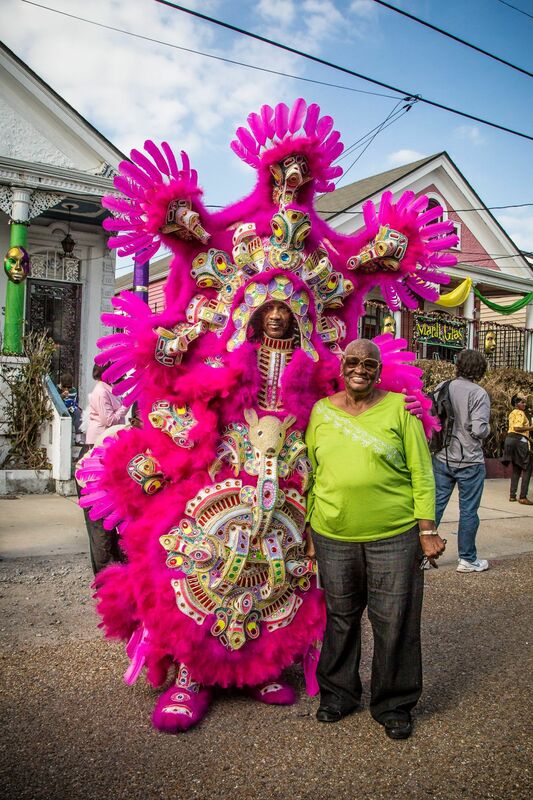 There are also pics of Mardi Gras Indians -taken by local photographer Roy Guste- as St. Joseph’s Day is also a public day for showing off their beadwork and parading. The holiday is one of my favorites as it is a true New Orleans experience and involves food, superstition (or faith depending on how you look at it), “visiting” and tradition. Really, this is an extra-extraordinary day among many extraordinary days in New Orleans. The farmers market itself has hosted beautiful altars in years past, courtesy of food maven, media star, and Slow Food founder Poppy Tooker. Each item on the altar has meaning, some to honor different saints or the Trinity or local or family traditions. The fava bean was the main food that kept families in Sicily alive during the drought. Italians would carry this “lucky bean” with them for good fortune. If you pick up a dried bean from an altar on this day, you will receive good luck all year. The 12 fish represent the 12 apostles. 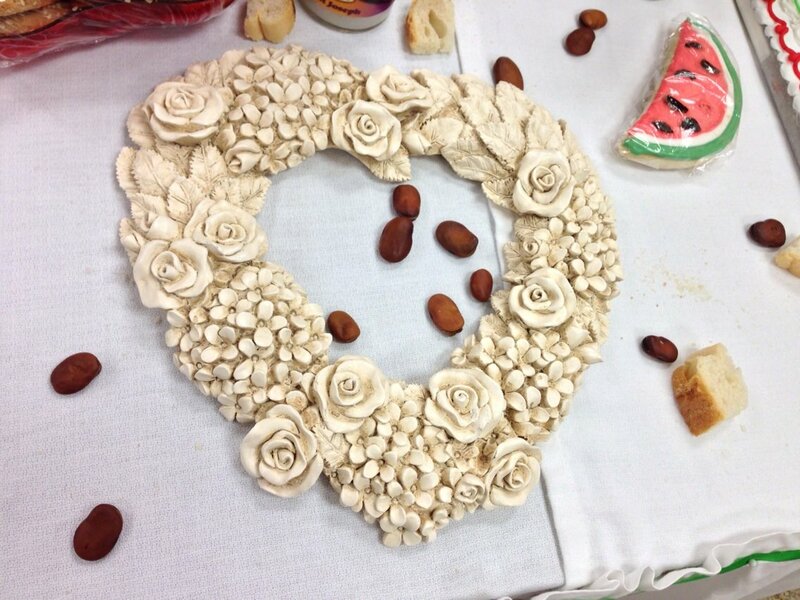 Several breads are made that represent both Jesus and St. Joseph. The symbols include ladders, hammers, nails, saws, lilies, and a staff for St. Joseph; and crosses, palms and wreaths (for the crown of thorns) for Jesus. These serve as a reminder of the many vineyards and orchards in Sicily. 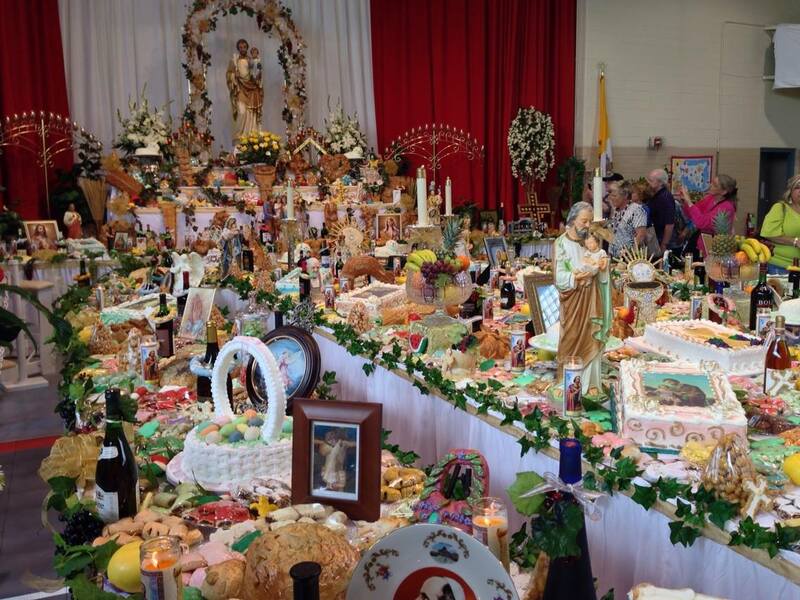 The altar is broken up on St. Joseph’s day and food and donations are then distributed to the poor. March 19th marks the Catholic celebration of St. Josephs Day where Catholic New Orleanians construct elaborate altars in honor of this saint. 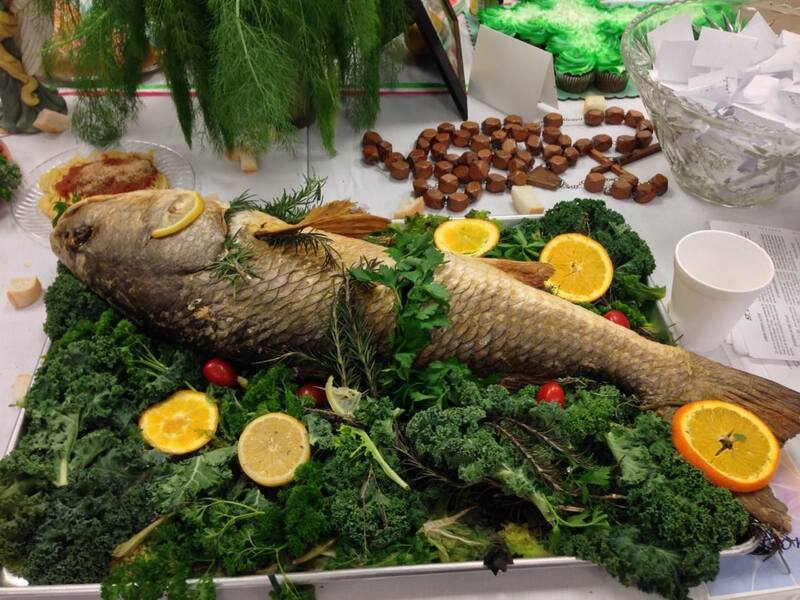 The tradition, commemorating the relief St. Joseph provided during a famine in Sicily, began in the late 1800’s when Sicilian immigrants settled in New Orleans. Altars are found at local New Orleans churches, especially those with strong Italian roots, but they are also constructed in private homes, halls, Italian restaurants, and public spaces in different communities throughout the city. If you happen to see a fresh green branch over a local’s doorway, it means you’re invited to participate in the altar ceremony and to share the food. I’ve also heard raves from friends about this altar. New Orleans had a large influx of Sicilians in the 19th century who celebrate their patron saint but it is also an important day for the Mardi Gras Indians for more obscure reasons. The Indians activities defy easy description as do their amazing handmade regalia, stitched by the wearers themselves on many a night after getting off their day job. 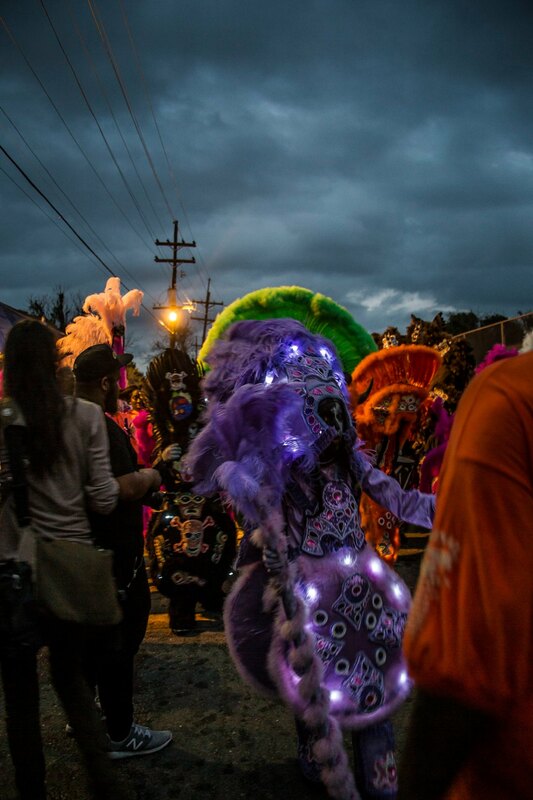 The Indians’s traditions can be viewed at the Backstreet Cultural Museum in Treme and if you are lucky to be in New Orleans on Fat Tuesday and around St. Joseph’s Day or on the Sunday before, you can view these amazing artists on the streets of New Orleans. St. Joseph’s Night with the Wild Indians is not an experience to be taken lightly in any measure. It’s the living manifestation of an age-old ritual, preserved and practiced by the descendants of the African slaves, which goes back to the perambulating societies of West Africa and their call-and-response chants, the secret societies of masked warriors which are common to both African and native American cultures, and the unsanctioned moonlight ceremonies conducted by African slaves under pain of death on the plantations of the American South. Tomorrow is another holiday in the New Orleans area and in many other Italian-American areas- St. Joseph’s Day. St. Joseph is the patron saint of the island of Sicily and it’s said during the famines of the Middle Ages, residents prayed to St. Joseph to deliver them, and the altars are built in thanks on his feast day, March 19.In the late 19th century, New Orleans was a major port of immigration for Italians from Sicily. Many settled in the French Quarter, nicknamed “Little Palermo” at the time. Devout Catholics promise altars for answered prayers and favors granted, such as healing or safe delivery.The food on an altar is supposed to be donated, or “begged.” Countless people work on the altars: Altar societies, church members, Catholic and non-Catholic spend untold hours, starting at the beginning of the year. Many New Orleaniains try to make a “pilgrimage” to a number of altars on the feast day, to churches, store and even to private homes. 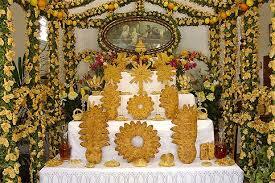 and for those of you looking, those who secretly steal a lemon from a St. Joseph’s Day altar will get a husband. For those not in the search, you can just ask for a fava bean: Legend has it that you will never be broke as long as you carry a fava bean. Like most Americans, New Orleanians too celebrate St. Patrick’s Day, although here in New Orleans we also celebrate St. Joseph’s Day. There already was a parade through the Quarter in St. Joseph’s honor and March 19 (St. Joseph’s actual feast day) will be quite the day for viewing of the altars throughout the city. 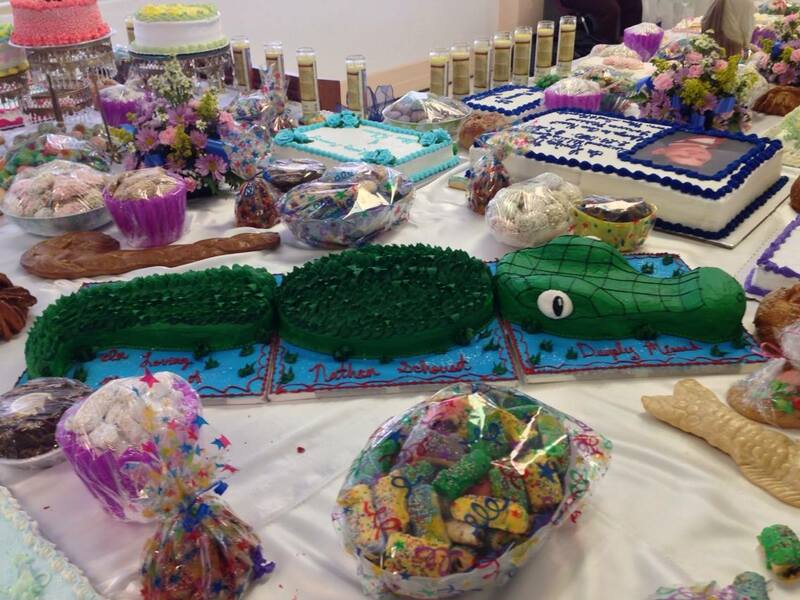 The tradition, which is Sicilian in origin but carried on locally by Italian-Americans and people of all nationalities and faiths, includes baking cookies and cakes and preparing foods for the altar. According to a legend, a drought and famine during the Middle Ages caused much suffering in Sicily. 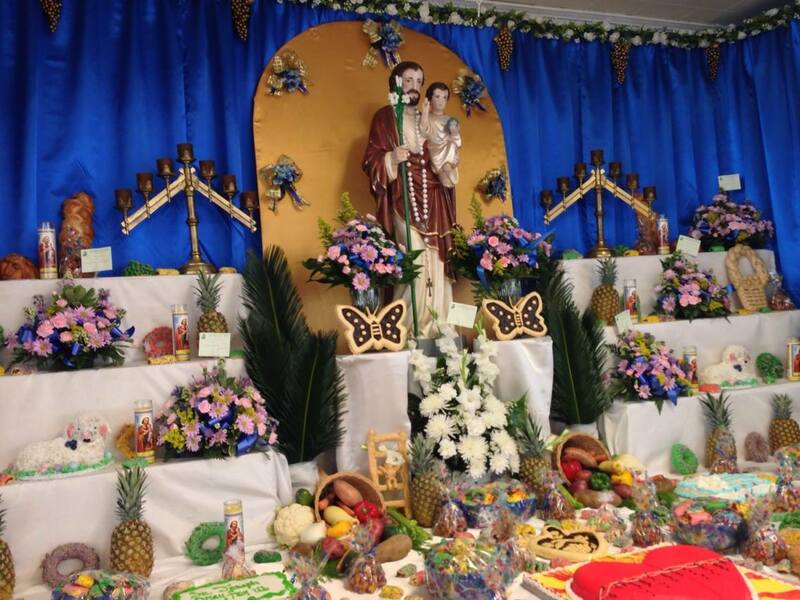 People prayed to St. Joseph, the husband of Mary, and promised to thank him with food altars on his feast day, March 19, and give away the food to all. Supposedly on midnight of March 19, it started to rain and broke the Sicilian drought. Many now create altars to thank St. Joseph for their personal prayers as well. 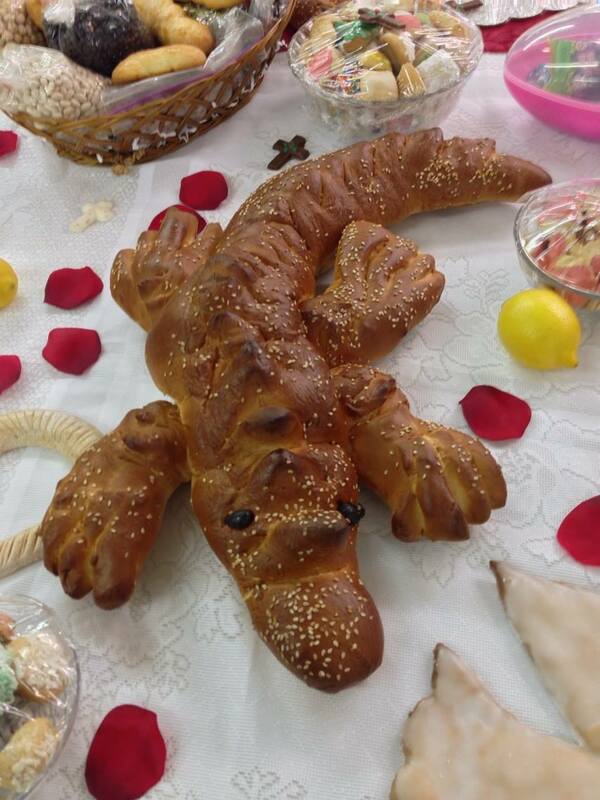 Over the years, the Crescent City Farmers Market has done many altars, with local media legend and Slow Food Chapter founder Poppy Tooker leading the design and collection of the goods. At least 3 altars have been created to be viewed on market day and one even included 19th century prayer benches borrowed from the Ursuline nuns who are the founding order of the city and have been here since the 1720s tending to their duties which includes their venerable girls school, the oldest operating Catholic school in the US. The altars are found in churches, businesses and homes throughout the city and when you leave after viewing, you will receive a fava bean. The fava bean will bring you luck throughout the year. Part of the tradition requires that no money be spent on the altar, so its creators must beg for all items. Once the day is over, the altar is broken down and its content donated to the poor. St. Joseph’s Day has another connection to food: it is also traditionally considered to be the last day to plant summer tomatoes for this region. List of local St. Joseph altars | wwltv.com New Orleans. At the Tuesday Crescent City Farmers Market, I had another chance to support my old employer and hometown market: Buying a ticket to their “Grow With St. Joe’s event, the latest of their charming “popup” fundraisers. Founder Richard McCarthy has been busy mastering the art of creative fundraising on behalf of his organization over the years and when he does throw an event, they always reflect his deep awareness of how to connect his community to the food culture through fun and seasonality. 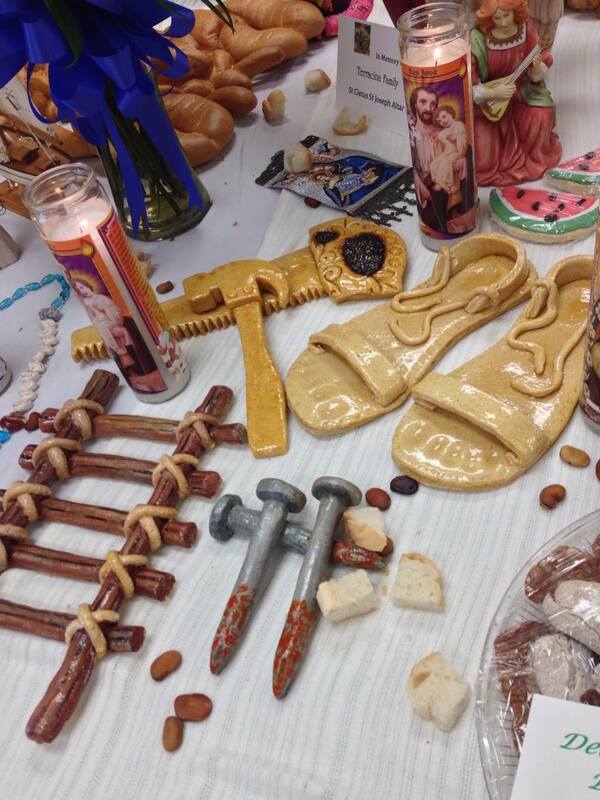 St. Joseph’s Day is an important day for New Orleanians, and yet the Sicilian altars that used to be found in every neighborhood have lessened over the years. Leave it to CCFM to revive the tradition while remembering the saint who is credited with saving his believers from famine and in doing so, raise some money for our farmers markets.